As far as smartphones that get more than their fair share of copycats, the iPhone as a whole has to be the most susceptible. It’s a dubious honor to be a smartphone that the competition likes to “borrow” from, but some go so far that it’s only fair to say that they are simply trying to clone their subject matter. The iPhone X already has a few devices trying to pass themselves off as Apple’s flagship phone, and while some do a better job than others at least on the looks front, most are at least passible at a glance. That’s the category we would put the Oukitel U18 in. 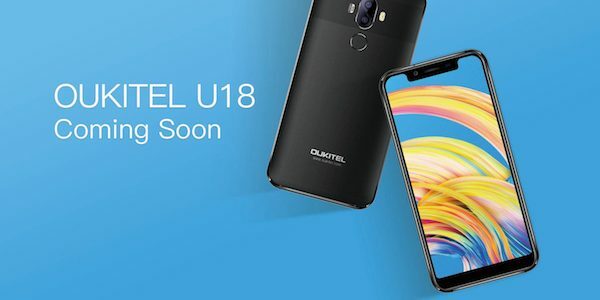 Not yet officially announced but set to go into production later this month, the Oukitel U18 is clearly trying to be an iPhone X, and to a point it gets things fairly accurate at a glance, but anyone familiar with Apple’s original will immediately be able to find fault. For starters, that notch at the top of the display isn’t quite right and is shaped all wrong. The rounded corners are a little too squared off for our liking, too, something that really shouldn’t happen if you are trying to get the iPhone X effect, not to forget the thick chin bezel at the bottom, which the real iPhone X doesn’t have. Still, this is what you get when you’re a Chinese brand trying to tread the line between copying the iPhone and having Apple’s lawyers knocking on your door. Technology wise, the Oukitel U18 is a generic Android offering. A 1512×720 display doesn’t excite particularly, and the 4GB of RAM is standard fare these days. With 64GB of storage there’s plenty of room inside this thing, but we doubt power users will be looking to pick a U18 up anytime soon. No matter how close to an iPhone X it may look in places. 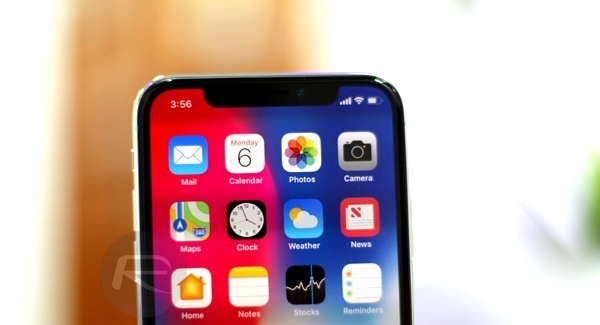 Gotta give it up to Chinese manufactures on getting the curves around the notch ? Still cant wrap my head around how these companies think this is the correct implementation of Apples design. What the hell is the point in having a disruptive top notch, if you’re still keeping the bottom chin…… Purely to attract the small group of idiots who actually buy into this crap. I cant believe im saying this, but Apple seems to be the only one who understands the true meaning of a bezel-less phone.